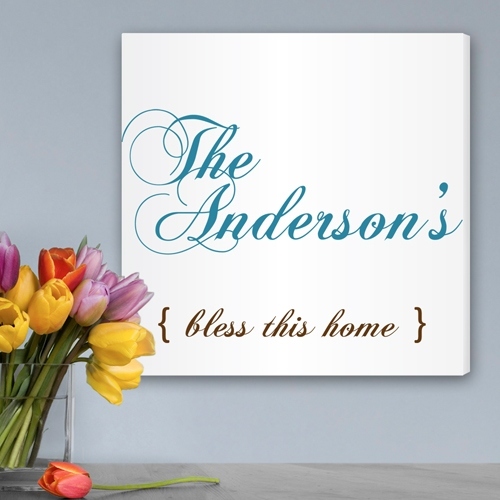 * Bless This Home Personalized Canvas Print is a perfect addition to any home. * Our Personalized Gallery Wrapped Canvas prints are sure to be the conversation piece of any home. 14" x 14" x 0.5"